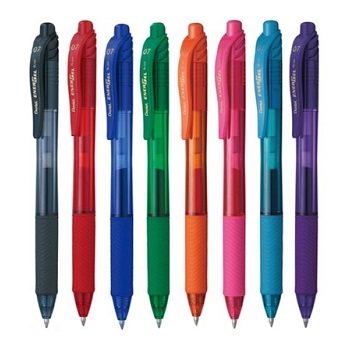 These rollerball pens specifically use water-based gel inks which contains pigments to achieve a greater variety of brighter colours than is possible in liquid inks. Gel also allows for metallic and opaque pastel colour inks. The advantage of gel ink is that it glides on smoother and it hardly ever comes out 'blobby' or ugly looking. The ever popular Cristal pen now available in Gel ink! 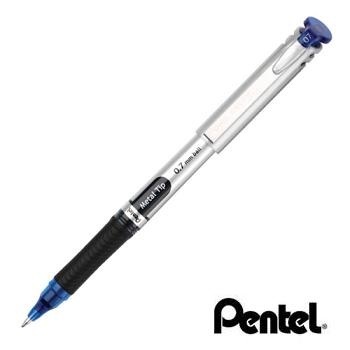 Economically priced Gel ink pen with stylish chrome tip for smooth and easy writing. 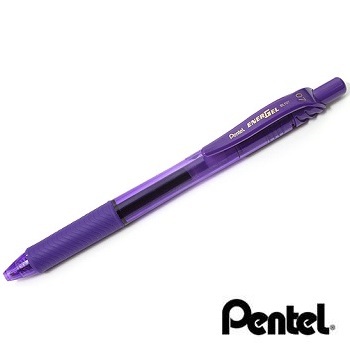 Medium Point 0.8 mm ballpoint pens. Ventilated cap. 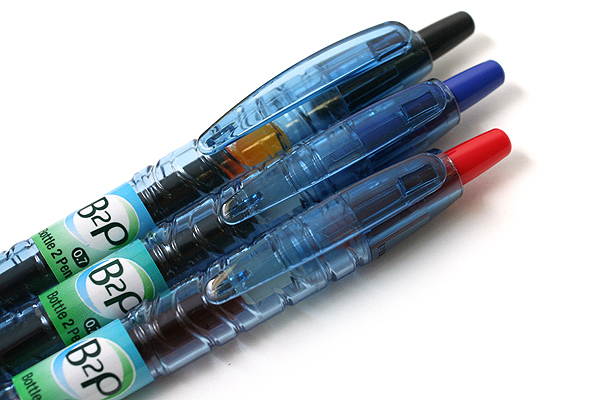 Retractable, refillable gel pens with full length grips for added writing comfort. D-Flexion Technology where cushion springs act as shock absorbers in the tips for a smooth writing experience. Medium Point 0.7 mm nib retractable gel ink pen. 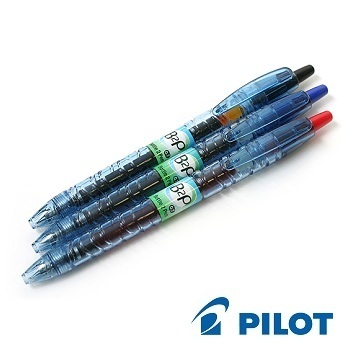 Pilot B2P 'Bottle to Pen' is a retractable gel ink rollerball pen mainly made from PET recycled plastic bottles. 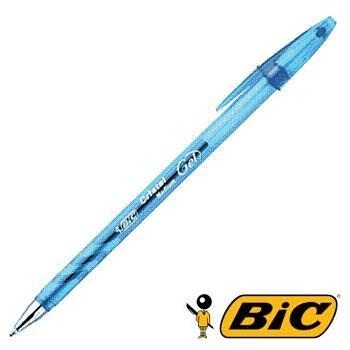 With a recycled content of 89%, excluding replaceable parts, a wide grip and the famous Pilot G2 gel refill it is good for the environment and great to write with. Fine 0.7 mm and Extra Fine 0.5 mm rollerball pens with 'bottle like' contoured barrel. Box of 10 pens. Choice of colours available. The Artline 5570 is a gel ink pen with a rubber grip for comfortable writing. Retractable mechanism for easy use in the office, home and school. 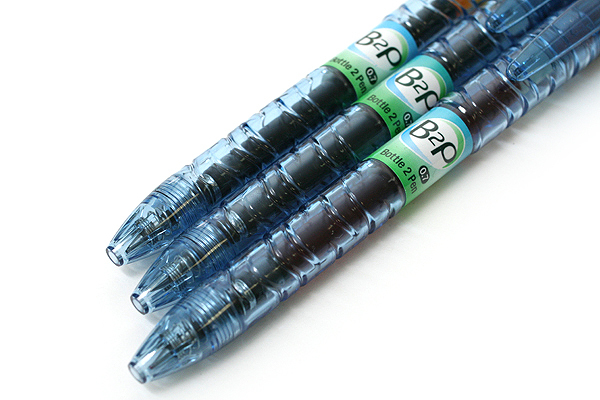 Gel ink is water based and acid free so it is suitable for craft and scrapbooking, as well as general writing. Medium Point 0.7 mm line width. Barrel colour denotes ink colour. Box of 12 pens. Choice of colours available. BEST SELLER. 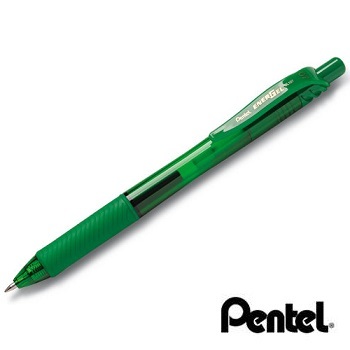 The Pentel EnerGel-X™ is environmentally friendly and made of 84% recycled plastic! The best qualities of liquid ink and gel ink are blended into a super smooth formula and delivered via an exclusive ink/tip technology. Intensely vivid ink dries quickly without smearing or blotting. Acid Free. 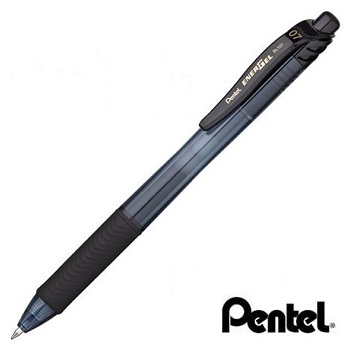 Medium Point 0.7 mm metal point rollerball pen with moulded rubber grip and metal pocket clip. Box of 12 pens. Choice of vibrant colours available. 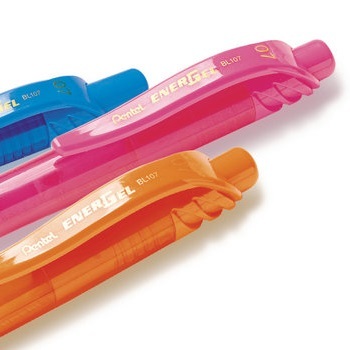 Glide into the future of writing with smooth liquid gel ink EnerGel™ rollerball pens. Fine Point 0.5 mm needle point rollerball pen with moulded rubber grip and metal pocket clip. 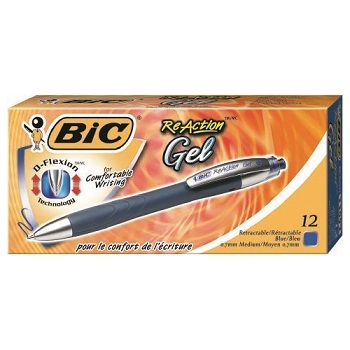 Retractable gel ink rollerball featuring highly-secure waterproof pigment gel ink. 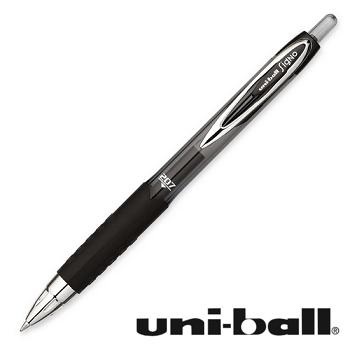 Smooth-writing; comfortable rubber grip; and high-quality finish with chrome accents. 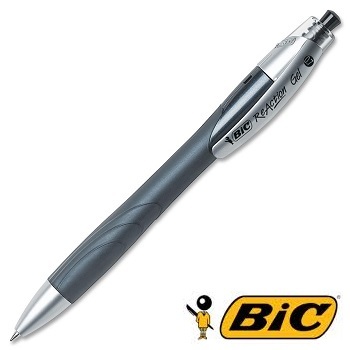 Fine 0.7 mm stainless steel tip retractable roller ball pen. Refillable. 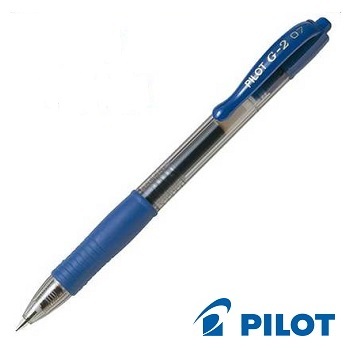 The Pilot G2 is a superbly-smooth writing rollerball featuring a retractable gel ink refill. The vividly-coloured gel ink is acid-free and archival-safe. The clear barrel features a comfortable ergonomic rubber grip. The erasable Pilot Frixion Clicker is a unique gel pen, perfect for everyday use at work, home or school. Fine 0.7 mm gel ink pen. Barrel colour denotes ink colour. Refillable.